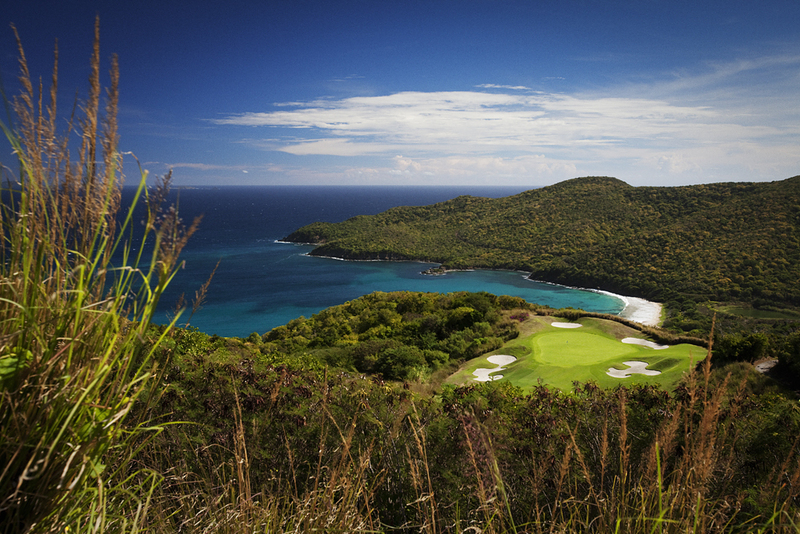 Boasting spectacular, panoramic views from every hole and overlooking the Caribbean Sea, The Grenadines Estate offers a most distinctive golf course of unique character and playability. 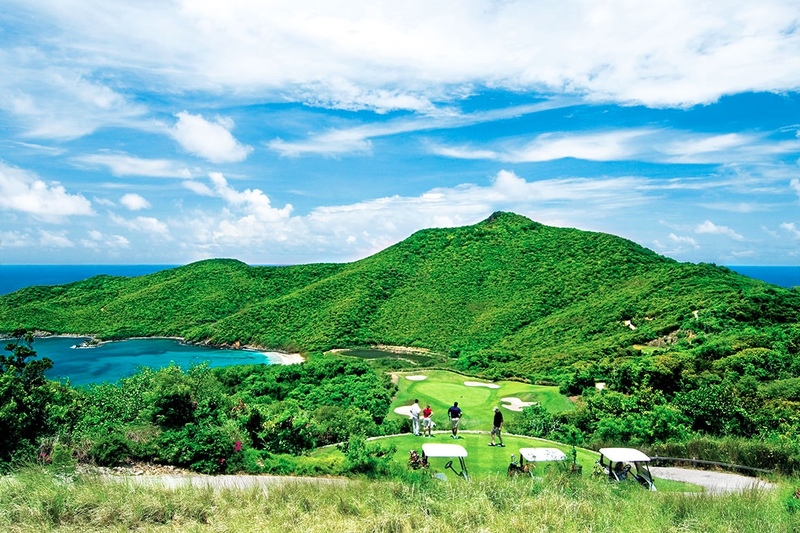 Cooling north-easterly trade winds enhance the challenge and intense sloping terrain offers an ideal opportunity to work on perfecting your swing. Our exclusive clubhouse awaits upon your return from the course and whilst playing beverage service buggies are never far away. Enjoy a cold beverage after nine holes, or relax at the completion of your round in the comfort of the clubhouse whilst gazing out over the course - designed to be friendly to all levels of golfer. The front nine offers a great experience to all abilities; with these holes being not as long and more protected from the elements than the back nine holes. For the accomplished player, from the back tees the front nine holes will offer a challenge that is certain to rival that of your previous games. The back 9 offers a separate challenge, the changes in scenery are quite stunning & any stray shots will be punished to the full. The inward 9 offers some 500ft differential, which on its own is a challenge, this along with the 300/400 yard increase on the front 9 makes this a task that any golfer will enjoy taking on. Good luck on what we have simply named “Paradise Found”. All Tees & Greens hand mown daily - Desalinated Water for irrigation - 480 feet elevation change. 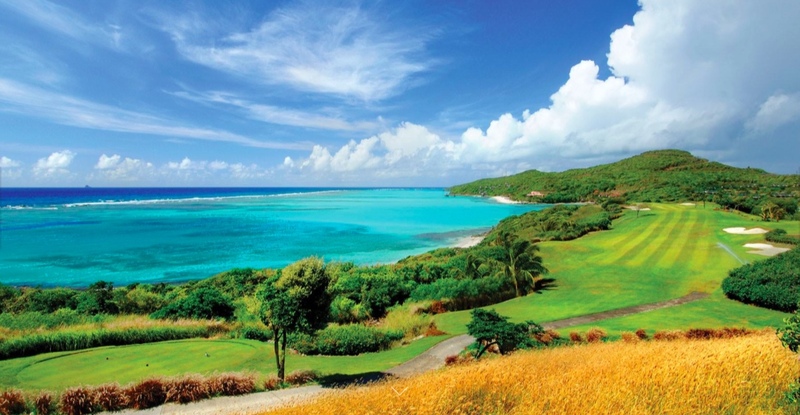 Only golf course in the Grenadines. • Tees, fairways and rough - Paspalam, Sea Isle1000. Changing terrain (from amphitheater to mountain) with breathtaking natural beauty and scenery. 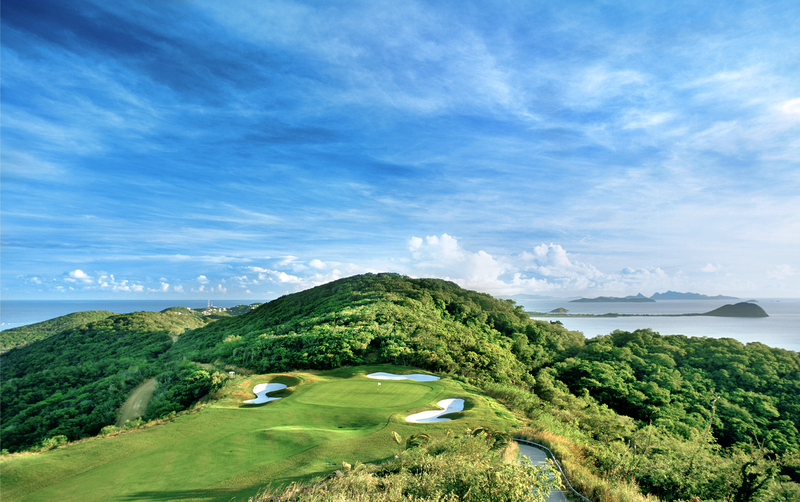 The first 10 holes & 18th are situated within the amphitheater; Holes 11 through to 17 are built around Mount Royal (877 ft high), with spectacular panoramic views of The Grenadines and The Caribbean. Ideal course design as holes 1 and 10 start from the clubhouse with holes 9 and 18 returning.